As we leave winter behind, this should help us realize it could have been much worse. 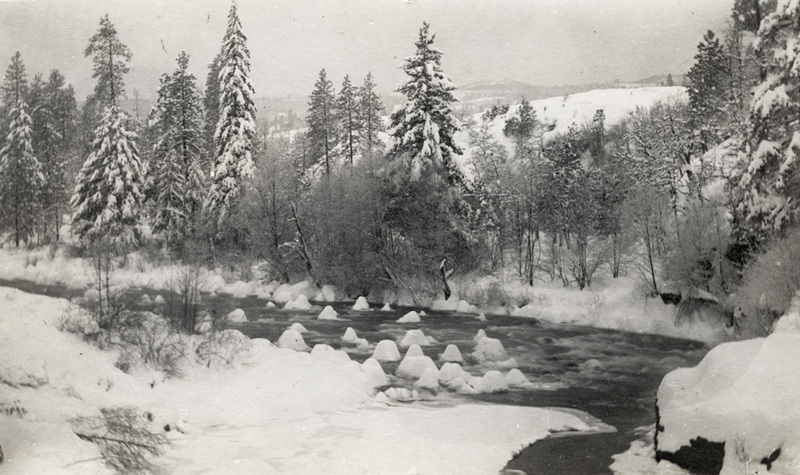 This one was captioned "Winter Scene from Tucker Bridge, 1900." This looks extremely more narrow than the present day TUcker Bridge. Is it a different part of the river or the stream has widened that much? Maybe the more westerly part of the river at that bridge site west of the present day bridge? Seems like we have seen quite a few winter scenes at Tucker Bridge. Makes one think it is a cold, snowy, icy place. There is this pretty one of the home, but it is even a bit chilly looking. I believe that the rock face (in the lower righthand corner) is currently under Tucker Bridge.